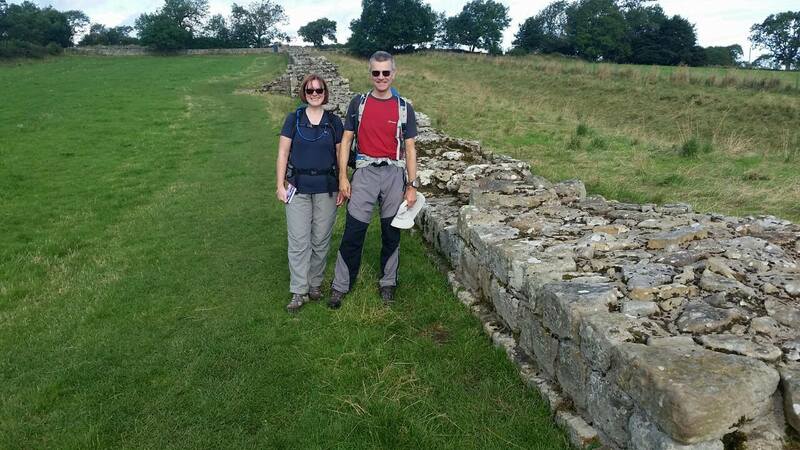 I recently spent six days walking Hadrian’s Wall with my husband Mike. My aim was to enhance my knowledge of the route and get to know some of our fantastic accommodation providers. 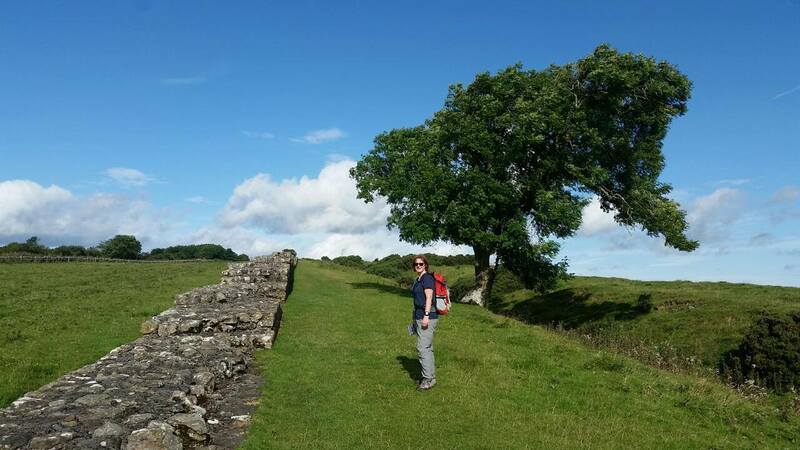 Hadrian’s wall was my first ever long distance path and a brilliant introduction to multi day walking. From the start we were lucky with the weather and saw some amazing sections of wall, fort, turret, and milecastle remains. Our side visits to Corbridge Roman town, Chesters Fort and museum told us a lot about the Roman lifestyle and cavalry operations. Early views were far reaching both north and south of the wall. In many places we could see the ditches and vallum supporting the wall defences. We met some interesting people in the first few days along the trail, some of whom were fellow Mickledore walkers. We enjoyed some glorious sunshine as we walked from Twice Brewed to Newtown passing the highest point on the wall at Green Slack, 345m. There were many magnificent wall sections and a pretty disused quarry at Cawfields. We also spent an informative hour at the Roman Army Museum. As we left Gilsland it was interesting to see how far the river has moved from the Roman bridge abutment. Later that afternoon we left the stone wall remains behind for a time and were ditch spotting, looking for the earthworks in the fields we crossed. It was proving to be an interesting adventure on Hadrian’s Wall. On our penultimate day of walking we went from Newtown to Carlisle. We were close to the vallum and ditches with one either side as we approached Oldwall. Soon we were passing Blea Tarn where stone was quarried for the wall nearby. In fact we were along the line of the wall shortly after. As we got nearer to Carlisle we skirted Rickerby which has some unusual buildings and a lone tower standing in a field. We then headed into Carlisle along the river Eden. 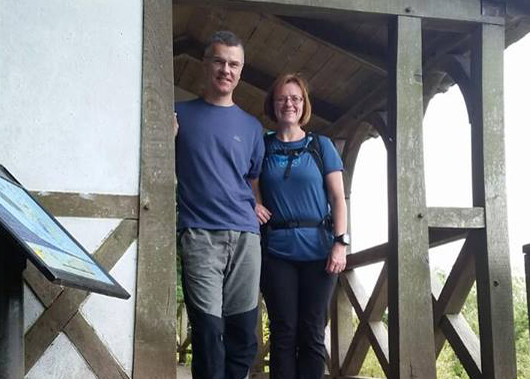 Our final day was a lovely walk from Carlisle to the end of the trail at Bowness-on-Solway. We saw wall stone, it had however been recycled into other buildings. The churches at Beaumont and Burgh by Sands were beautiful. 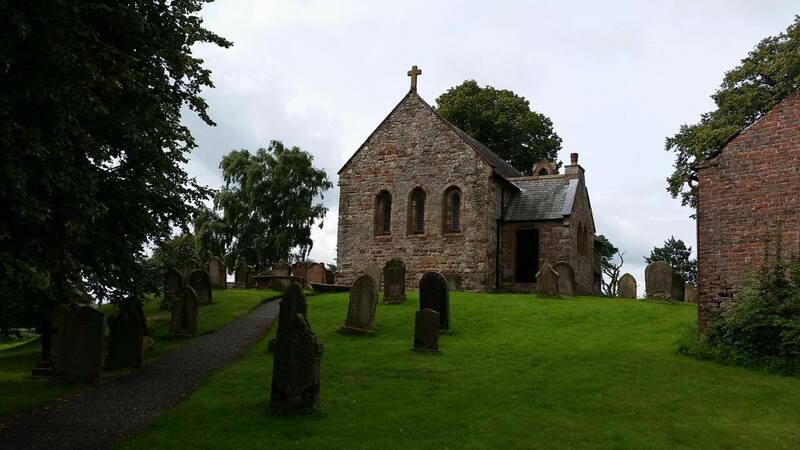 There were also Roman altars in a garden at Drumburgh. We followed the embankment of the Carlisle to Port Carlisle railway for some time. A more recent piece of history for this area and being slightly raised, the embankment gave us a great view of the estuary. At the end of the path in Bowness-on-Solway we had to take a picture in the wooden shelter at Banks Promenade, the official marker post. Along the way we stayed in great accommodations and our hosts were always welcoming. We met many interesting people during our walk but the trail was not at all crowded despite being a popular time of year for walking. It’s a great trail with amazing views either side of the wall and a part of so much history. 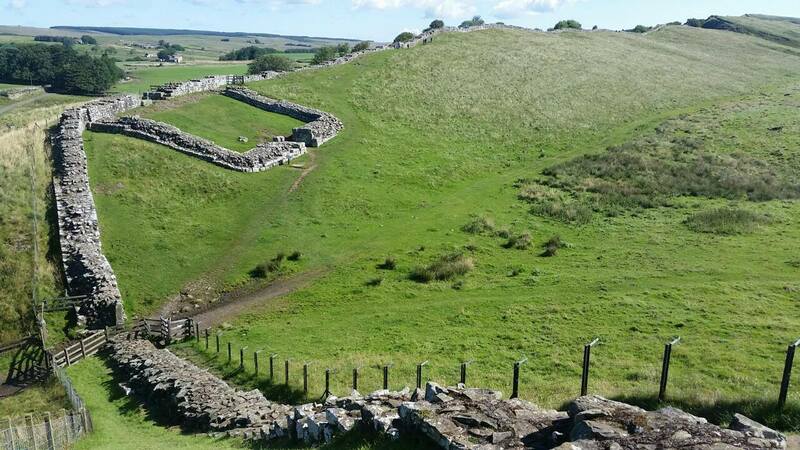 Mickledore offer a range of walking holidays on the Hadrians Wall Path, from a 3-day ‘Best of Hadrian’s Wall‘ itinerary to a 10-day walk along the entire length of the wall.